Welcome to SCUBA News - I hope you enjoy it. Don't forget to keep sending us your reviews and photos. E-mail news@scubatravel.co.uk, fill in the form at the website or post at the SCUBA Travel Diving Reviews Community. Cyprus boasts one of the best dives in Europe: the Zenobia. Read new reviews of the Zenobia and other dive sites at. 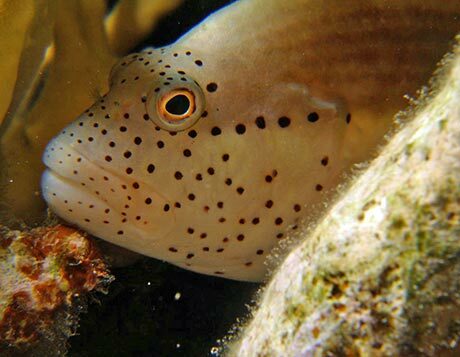 Why does this fish spend its time sitting on coral, resting on its pectoral fins? Like other hawkfishes it is lying in wait for its prey - small fishes and sometimes shrimps. 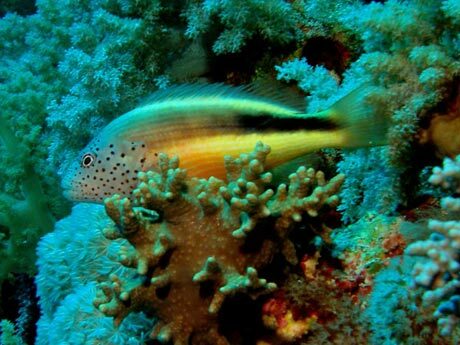 These they ambush in a surprising burst of speed, which gives rise to their "hawkfish" name. Another reason for their perching like a bird-of-prey is the lack of a swim bladder, which means they sink if they stop swimming. 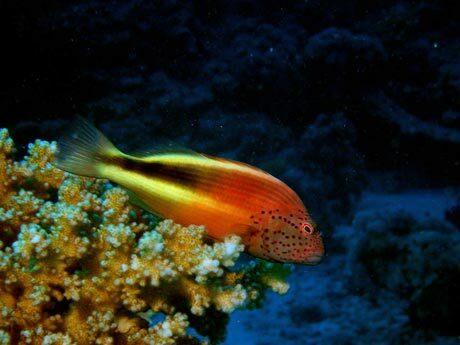 The freckled hawkfish lives throughout the Indo-Pacific, from the Red Sea to Hawaii, Japan, South Africa and Australia. Divers often see them as they are easily approached and live between 1 and 40 m. They grow to 22 cm long. All freckled hawkfish begin life as female. The largest female becomes the male. Although seen solitarily on coral heads, they actually live in small groups of one male with one or more females. 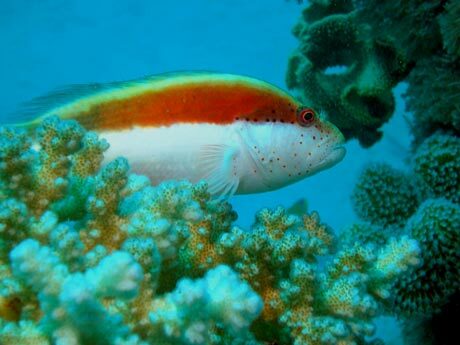 The hawkfish change colour as they get older. Adults may be pink, brown or muted green with lighter streaks down the side. Some are burgundy with a yellow tail. In all cases the red freckles remain the same. The juvenile fish tend to be white underneath and redish-brown above. Have you any photos of the freckled hawkfish you'd like to share? Send them to us and we'll add them to our gallery. Divers monitor reef shark numbers as accurately, and cheaper, than automated tracking tools, a study suggests. Shark populations are thought to be declining globally, but for 67% of shark species the population trend is unknown. Shark-counting divers can gather information and thus help marine conservation. Project to replace diving tanks with "solid air" wins prize. A fleet of whaling ships has left Japan to hunt for whales along the country's northern coast. It is the first hunt for Minke whales since the International Court of Justice ordered Japan to suspend similar activities in the Antarctic. Researchers have discovered a new class of proteins capable of blocking the HIV virus from penetrating T-cells. The proteins have been found in a coral from Australia's northern coast. Laser device creates bird free zones near fishing vessels. Deep-sea ecosystems are sensitive to global temperature variations on shorter timescales than previously thought.